At Highline Public Schools in Washington state, educators are preparing students who are ready for the future and capable of thriving in the ever-shifting economy within career fields emerging over the horizon. All the while, these teachers are raising the bar for equitable learning environments by leveraging digital instructional material. Although a suburb of Seattle, Highline shares many characteristics with urban districts. The majority of its 19,000 students live at the poverty level, and 28 percent are English language learners—speaking more than 100 different languages. However, Superintendent Dr. Susan Enfield expressed that her team of educators is adamant about not approaching their students from a deficit perspective. Rather, the district’s leadership and teachers commit themselves to knowing every student’s name, strength, and need. Dr. Enfield was named Superintendent of the Year in 2018 by the National School Foundation Association, in part for her dedication to a strategic plan that cultivates a culturally responsive school environment. The district’s strategic focus on digital learning ensures students become tech-savvy and tech-literate by implementing quality pedagogy and digital instruction in the classroom. 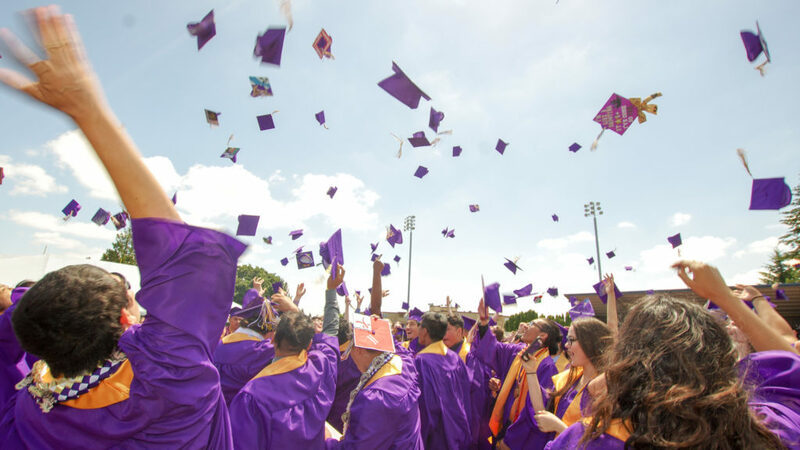 In the years since they’ve embraced this approach, students’ graduation rates have soared. Graduation rates among Highline’s students have consecutively risen over the past five years — from 62 percent in 2013 up to 81 percent in 2018. On top of that, every group of students has increased the percentage at which they graduate, explained Dr. Enfield. While every student group has seen these gains, it’s noteworthy that even students who traditionally have not found success in K-12 education systems are thriving as well. The district’s Native American students have a graduation rate that’s on par with its white students. Part of the secret to Highline’s recent success is their dynamic digital initiatives, which enable all learners to reach for greatness while pursuing their own standards-aligned education journey. Though shifting to digital alone is never the answer, Personalized Learning Specialist Meghan Terwillegar said the pivot to digital has allowed educators to employ learning tools that directly align with their instructional goals and for a particular day’s learning targets. “The work for us now is not only deeply understanding our content, but also thinking about the best ways to utilize technology to enhance that work and still give students some of that voice and choice and empower themselves to participate in the learning process,” said Terwillegar. Students at Highline schools have benefited from a wide-ranging partnership with Discovery Education, which provides educators with resources like Professional Learning and Streaming Plus—a digital collection of curated K–12 content with supplemental resources for literacy, math, science, and social studies. Streaming allows educators to personalize instruction, meeting students at their level. And Discovery Education’s Professional Learning gives educators the needed embedded instructional support to maximize their classroom resources, so they can focus on delivering standards-based instruction. Terwillegar said Streaming saves educators time when searching for quality resources for their classrooms. It also relieves a burden for the teachers to know that Streaming’s resources are safe for students, relevant to classroom instruction, and engaging for students by making real-world connections. The professional learning that Highline gets from Discovery Education is called Digital Leader Corps (DLC), a program to help drive districtwide transformation by nurturing teacher-leaders. Highline has taken a small group of educators to germinate this corps with help from Discovery Education’s professional learning experts. Highline’s Executive Director of Teaching, Learning, and Leadership Rebekah Kim expressed that now in the third year of DLC, Highline’s investment is taking root. Kim noted educators are focusing their energy on distributed leadership to ensure the instructional infrastructure they’re creating now is supported in the years to come. Educators at every Highline school for the past two years has trained with instructional planning teams focused on implementing quality, standards-based instruction. The district’s teaching and learning teams also receive this same training, so they are all coordinated in the messages and support being shared across all schools. This series of interlocking support beams helps educators feel confident and secure as they pivot to more digital-based instruction. Highline’s educators are helping to build a brighter future with Discovery Education. Dr. Enfield explained that her district decided to work with Discovery Education not just for the technology solutions offered—it was for the promise of a lasting partnership and the ability to engage students differently in their learning. “Of the superintendents I spoke with, all were very clear that this has been a great, positive experience for their schools over the years, and so it made sense for us as well,” said Dr. Enfield.